FREE Photo with Santa. FREE Crafts (a different one each week!). FREE Games & Activities. 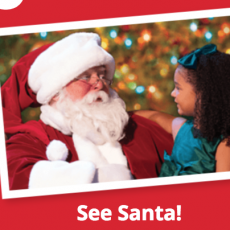 A Bass Pass is required & provides a time slot to see Santa. Bass Passes are limited and go quickly each day.